Whilst the technological know-how of travelling in vertical take-off and landing aircraft (VTOL) is bringing the prospect closer thanks to the work of Airbus, Boing and Liilium, the environmental impact of such journeys is likely to keep the idea grounded for the near future. 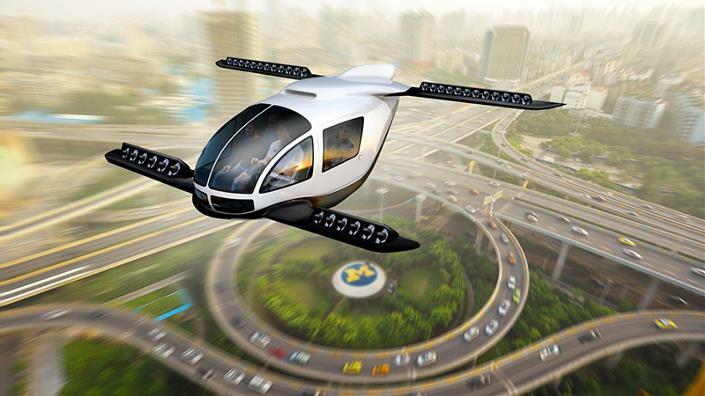 The study shows that while longer journeys with a full occupancy VTOL, may be both quicker and economical in terms of the environment and cost of fuel, the shorter journeys of a daily commute would be prohibitive. The average daily commute is 11 miles, but the study shows that for journeys shorter than 22 miles, with single occupancy, the combustion engine wins out. “The trips where VTOLs are more sustainable than gasoline cars only make up a small fraction of total annual vehicle-miles travelled on the ground," said study co-author Jim Gawron, a graduate student at the University of Michigan's School for Environment and Sustainability and the Ross School of Business. "Consequently, VTOLs will be limited in their contribution and role in a sustainable mobility system." The report suggests that longer journeys could be more efficient, however, current technology on battery power suggests that the vehicles may only be suitable for flights of 30 minutes.